It sounds like this might be a good book for a book club. I have read one book by her and really liked it up until the end where it sort of lost my interest. I keep meaning to read more from her because I know lots of people that love her. I like Oyeyemi and I enjoyed this one, but I agree that you have to be comfortable with the knowledge that you probably will not understand everything (at least during the first read!). Ha! 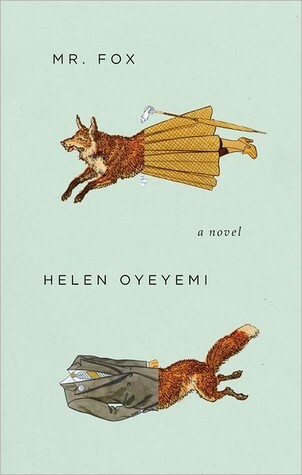 I think a lot of it was over my head too, or also possible, Helen Oyeyemi is not an author one needs to spend lots of energy on Fully Understanding in order to love her. Gosh, I should reread Mr. Fox. I went to see her talk about that book at McNally Jackson when it came out, and she was a damn delight. This sounds great! And I really like that cover too. I haven't read any Oyeyomi either, but I've wanted to for a while - but where to start? Maybe I'll see if my library has this. Has it encouraged you to read more of her work? What you've said sounds similar to my experience of Boy, Snow, Bird - that was okay book and there was definitely something going on but I never got the sense I was getting it quite right, it was quite vague. I think it was Jenny (Reading The End) who said Oyeyemi's books have a tendency to be quite difficult in that respect.